Drummer Sean Dobbins showcases Tim Kohn, a junior at Community High School. 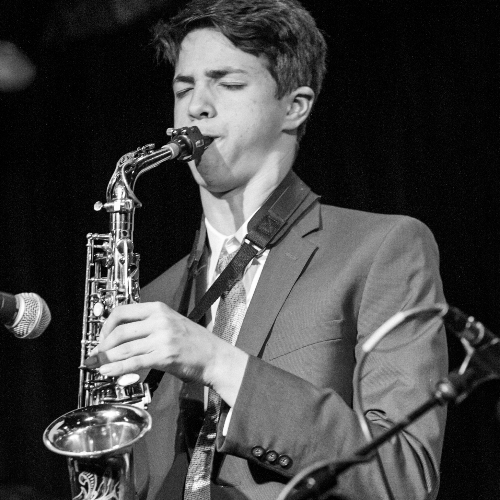 Tim performs with Community's top combo, the Huron River Rat Jazz Orchestra and Spartan Youth Jazz Orchestra of Community Music School-Detroit. Tim has participated in several MSBOA groups including All State Band, All State Jazz Band and Michigan Youth Arts Festival Jazz Band and he was a section head for Interlochen's Summer Jazz Program. When he is not performing Tim enjoys running for the River Rat cross country team and playing pick up basketball.